Building a website from scratch can be a complex prospect if it is something you have never really done before and you are not sure what you are doing. However, in a world where having a web presence is basically essential to be taken seriously in business, you may find yourself in a situation where you need to create a website for yourself. If this happens, there are a number of things you will need to consider before you start actively trying to construct a website. The more organization and clarity you have before you begin, the more likely you are to have a successful finished product. What domain name do I want to register? A domain name is your web address, a string of characters followed by .com, .net, .org or a variety of other potential instructions. The name of your domain should be clear, easy to spell, and be related to your name, the name of your business and the project you are working on. What hosting company do I want to use? A good hosting company will register a domain name for you and help you propogate it to their servers, meaning that the data that you place on their servers will be visible to anyone who goes to your web address. What kind of hosting package do I want? 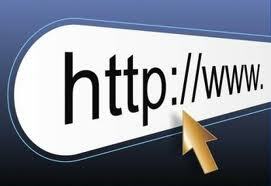 This depends on the nature of your website and the files you will want to host on the site. If it is just a resume or contact page, a small hosting package will do, but if you expect major web traffic and a lot of files, consider a larger hosting package. What is my site about? Is it a resume or contact page? Am I selling a product? This determines the way that your website will be structured and if you will be able to use a content management system like WordPress or Joomla to create a design for you. Can I design my own graphics? If you are proficient with Photoshop or another imaging program, making graphics for your site may be a breeze. You can teach yourself using tutorials if you are so inclined, but if you feel like the effort would be fruitless, a graphic designer will come in handy. Do I have content ready for my site? Whether or not your content is coded in any form, having the data you want to be present on your site ready to go before you start the project will make the overall construction of the site go faster. This includes text, contact information, downloadable files and photos. When you have chosen a domain name, a hosting site, a hosting package and have readied your content, you can determine whether a content management system, or CMS, would work for your needs. A CMS allows you to make individual content pages that are linked from an initial page which functions as a blog for updating your website. Your host likely has the option to automatically install these systems for free using your control panel, which is a feature you should take advantage of if you feel like a Wordpress, Joomla, Drupal or other content management based site could work for your needs. If you are selling a product and as such are designing an eCommerce site, check with your webhost regarding the methods necessary to install a commerce gateway on your site. You may be able to do this without your host using a Business Premier PayPal account, but it is always best to check with your web host before proceeding. Jo Harris is a writer and the Outreach Director for the Morgan Law Firm, a firm that represents clients going through a Divorce in Austin divorce firm. See additional articles on the firm's Austin Divorce Blog. click the banner below and get the details about the domain and the purchase.